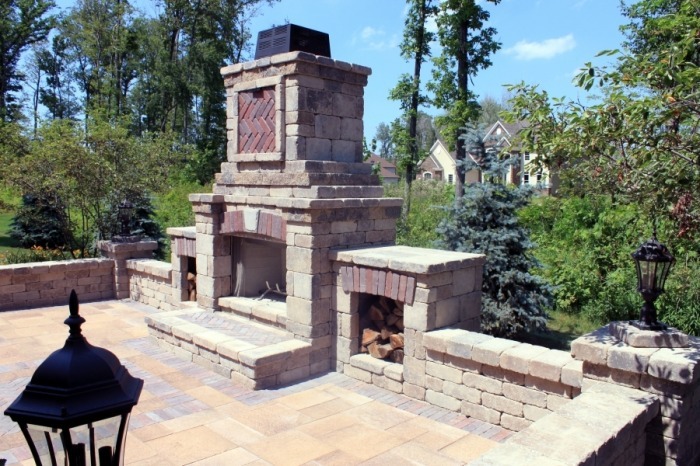 Looking for an Outdoor Fireplace Contractor? With 20 years Designing and Installing Outdoor Fireplaces in the Columbus and Cleveland Ohio area Columbus Paver Patio is the first choice among homeowners and contractors wanting an Outdoor Fireplace designed and Built. 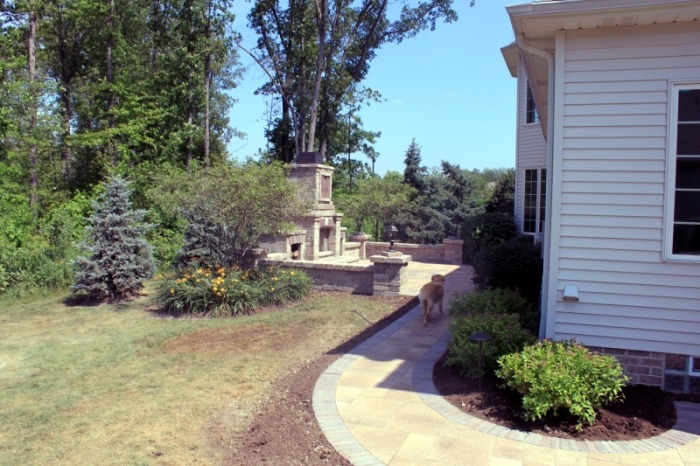 Designing a new patio, or outdoor living space can complete a new or existing homes landscape. 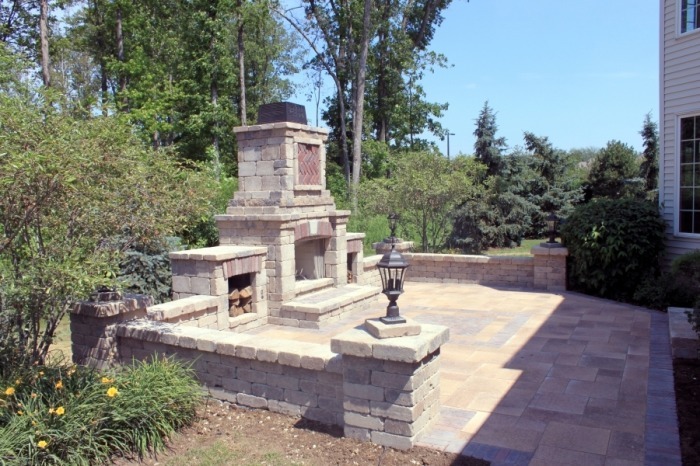 Because patios are typically designed using pavers or bricks--materials that are naturally fire retardant--this can be the ideal location for a fire pit or outdoor fireplace. An outdoor fireplace can do many things for a patio design. A custom Outdoor Fireplace built by a Columbus OH contractor adds character and a great gathering spot! For one, it can increase its usefulness of the patio by extending the time the patio is used throughout the year.Transforming the space into an outdoor kitchen also has similar benefits. Unilock Fireplace in Powell Ohio, Dublin Patio Fireplace. Materials: Unilock Brussels Block Sierra, Unilock Umbriano Autumn Sunset Pavers. 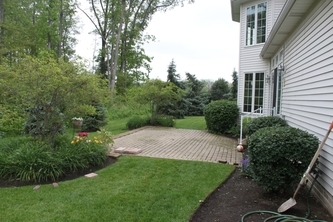 Key Features: Outdoor Fireplace, Sitting Walls, Outdoor lighting, Gas Fireplace line and starter. Columbus Paver Patio completed this paver patio, paver walkway and Outdoor Fireplace in Columbus Ohio using Unilock pavers. The patio installation included removing the old patio and a complete redesign incorporating a new paver walkway. The total area of this patio was approximately 500 square feet.